The Civil Rights Act of 1964 requires schools to identify language minority students by level of English language proficiency. Therefore, upon enrollment into a school in Georgia, each student’s parent or guardian completes a Home Language Survey to determine whether a language other than English is used in the home or is the student’s native language or first language. All students whose native language, first language or language of the home includes a language other than English are assessed for English language proficiency using the state-adopted English proficiency screening measure, the W-APT. It is the responsibility of local schools to ensure that English Learners succeed both socially and academically, understand American culture and how to function successfully within it, and have access all available postsecondary options. Additionally, the Civil Rights Act of 1964 requires schools to provide language assistance services to identified English Learners (ELs). Initial eligibility for language assistance services (ESOL) is determined by the student's score on the W-APT. All ELs are also assessed annually on the state-adopted English proficiency measure, the ACCESS, to determine English language proficiency. A student’s score on the ACCESS will help determine whether the student should continue in ESOL or may be ready to exit the program. English language learners communicate information, ideas and concepts necessary for academic success in the content area of Language Arts. English language learners communicate information, ideas and concepts necessary for academic success in the content area of Mathematics. English language learners communicate information, ideas and concepts necessary for academic success in the content area of Science. English language learners communicate information, ideas and concepts necessary for academic success in the content area of Social Studies. Each school in Oconee County Schools offers ESOL services. There are currently about 186 students participating in ESOL. 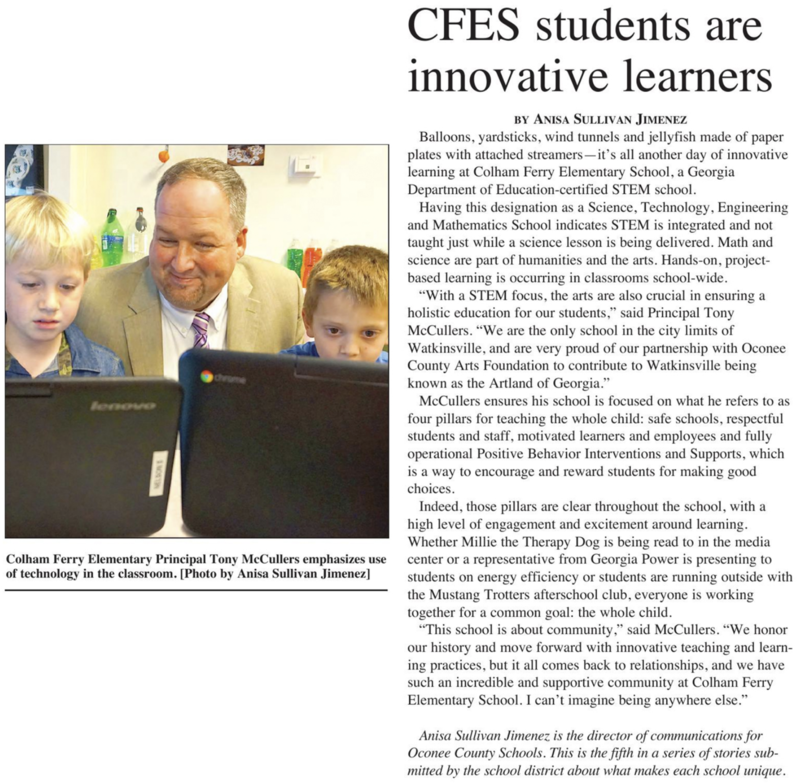 Approximately 26 languages in addition to English are spoken by Oconee County Schools students.